MYTH 1: Absinthe that you can buy in the U.S. isn't "the real deal". This is one of the most popular misinformation campaigns out there today, propagated by several specific disreputable brands. 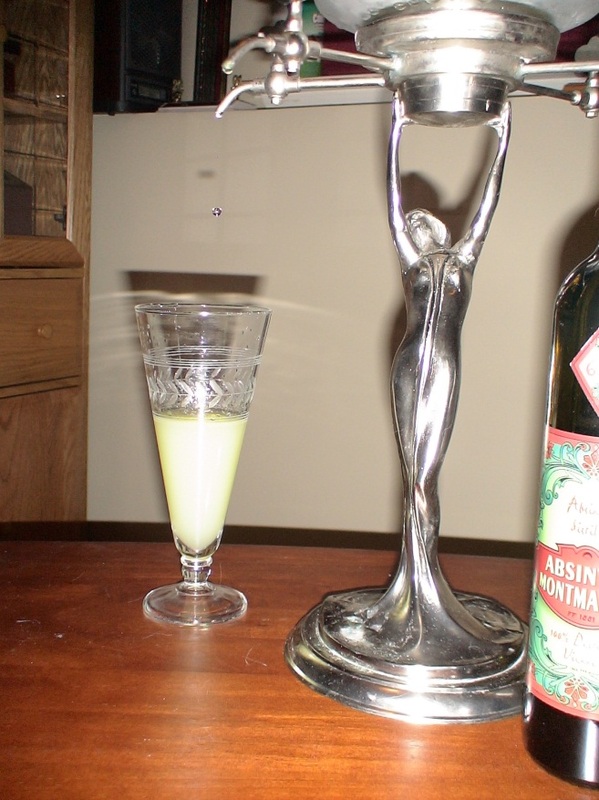 Yes, U.S. absinthes are REAL. They contain the same species of wormwood and more-or-less resemble pre-ban absinthes in style and flavor (there is a wide variety of flavors, even within the traditional absinthe segment, though they all share the same common characteristics). Scientific analysis of pre-ban absinthe has shown that Belle Epoque brands contained only a small trace of thujone, the compound blamed for absinthe's alleged harmful effects. Still, there are no legal guidelines as to what may be called "absinthe", so buyer discretion is advised; be well-informed. There are some brands out there that are no more absinthe than tequila is rum. As much as possible, refer to the Wormwood Society's Review Section to do further brand research before you buy. MYTH 2: Absinthe is a drug. It won't make you "trip", hallucinate, cut your ear off, or do anything else you wouldn't ordinarily do when intoxicated with liquor. The terrifying hallucinations reported to be suffered by early, hospitalized absinthe abusers were most likely due to the withdrawal symptoms of acute alcoholism: alcoholic hallucinosis, or, the DTs. There are no psychedelic or psychotropic ingredients in authentic absinthe. MYTH 3: Thujone is a hallucinogen or is related to THC. 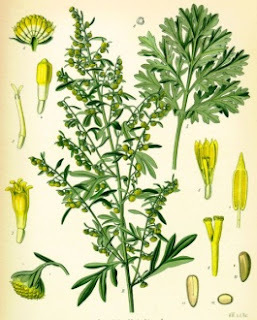 Thujone, the primary volatile oil in wormwood, is present in only in trace amounts in absinthe due to its resistance to distillation, and is subtle in its effects at these levels. The current "100mg thujone" and "extra strong" hype on many sites is a "legal high" marketing gimmick aimed at the gullible. The role of thujone in the so-called "secondary effect" is greatly exaggerated, as is the effect itself. Read through the articles in our Absinthe Sciencesection for more information. The similarity in effect to THC was an un-tested conjecture from the mid-1970s and was proven incorrect by later studies. Thujone is NOT a hallucinogen or a psychedelic and has no reasonable recreational potential. MYTH 4: You can make real, traditional absinthe at home. Not any easier than you can make real whisky or gin at home. Authentic absinthe must be distilled, just as whisky, gin, etc., and in most countries, including the US, home-distilling is illegal. Soaking wormwood and other herbs in vodka or grain neutral spirits will not make absinthe or anything like it. Absinthe must be distilled. MYTH 5: Flaming absinthe is an authentic absinthe tradition. Not in France, the Czech Republic or anywhere else prior to the late 1990's. There are a number of time-honored classic drinks which are flamed, but absinthe isn't one of them. Burnt sugar does no more than introduce a charred marshmallow taste, obscuring the delicate balance of botanicals. This preparation was invented as another marketing gimmick to sell low-quality product to club-goers. MYTH 6: Authentic absinthe is horribly bitter. The primary flavor of absinthe is anise - what most people call the "black licorice" flavor - but well-made absinthes have an herbal complexity that makes them taste like more than just licorice candy. People who have had bad experiences with extremely bitter, unpalatable beverages (many times in Prague or other Eastern European cities), were not drinking authentic absinthe. They had unfortunately fallen into a tourist trap. 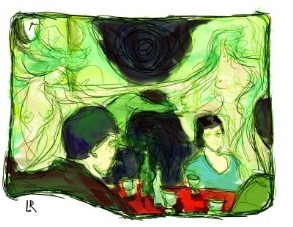 MYTH 7: Pastis is "absinthe without the wormwood". Pernod Anis, Henri Bardouin and Herbsaint are substantially different from absinthe and are pre-sweetened; they are absinthe substitutes. They'll generally work in cocktails calling for absinthe, but as drinks on their own they're not very similar to it. You can't make absinthe by simply adding wormwood or wormwood extract to these products. It will taste vile.